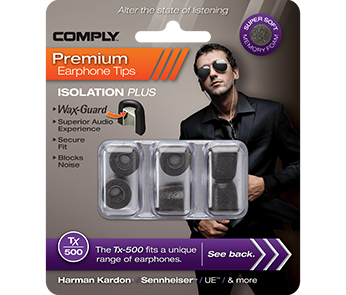 Delivering maximum noise isolation for a superior audio experience, Isolation Plus Tx-500 tips have integrated Wax-Guard, preventing wax from entering the sound port, which will diminish sound quality. They also provide amazing comfort and stay-in-ear fit — so you hear music the way it was meant to be heard. 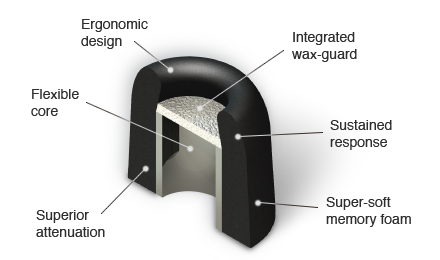 Wax-Guard: These tips are designed with an acoustically transparent filter that safeguards earphones from damaging wax and debris.